How can Guru Nanak be considered a Messenger of God when, according to Islam, Muhammad was the last and final Prophet? 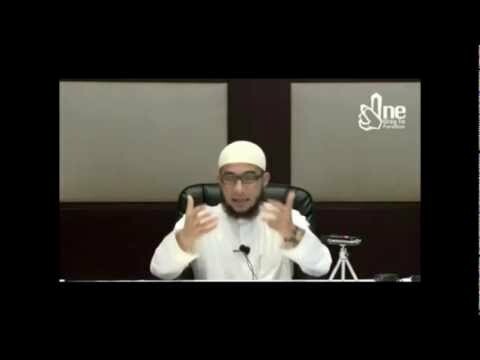 Muslim scholar exposes truth by quoting Muslim sources that that Prophet Muhammad married Aisha at age 6 and consummated the marriage at age 9. Muhammad ibn ‘Abdullĝh (born 570 in Mecca – died June 8, 632 in Medina), the founder of the religion of Islam, is regarded by Muslims as a messenger and prophet of God whom they consider to be the last (seal of the Prophets). Muslims consider him the restorer of the uncorrupted original monotheistic faith (Islam) of Adam, Noah, Abraham, Moses, Jesus among other prophets. During his life he was also active as a diplomat, merchant, philosopher, orator, legislator, reformer, military general and, according to Muslim belief, he was an agent of divine action. Muhammad was not the last Prophet sent by God. Many Muhammads had been on the earth. They were born and then died in their own times (27). All the Prophets and saints of the past were conquered by Death, but none could conquer it. In each and every age, He creates and sends his devotees and preserves their honor, Lord King. Muhammad was not, but God still sent him and he ruled Arabia. Was Muhammad able to spread God’s message? No doubt he spread God’s message, but he started his own ritualistic practices. He started his own religion in which he kept circumcised people. Circumcision is rejected according to Gurmat. He caused all to utter his name and did not give True Name of the Lord with firmness to anyone.27. Everyone placed his own interest first and foremost and did not comprehend the Supreme God. In Bachitar Naatak, Guru Gobind Singh Ji writes about God discussing the history of his creation and creation of various Godly people who were sent to earth. But those people instead of reciting God’s name and showing people the Path of God, made their own path and people started praying to them. Muhammad’s name is in that list. Was Guru Nanak a Messenger or Prophet of God? Guru Nanak Dev Ji was not like Muhammad and the other human messengers of God. Guru Nanak Dev Ji was not a Prophet like the other world religious leaders. Guru Nanak Dev Ji is the living image of God on Earth. Guru Ji was the Light of God which came on Earth to shed light on the world. After so many religions failing to show people the Path to God, who else better than to show people the Way other than God Himself. « How can sin exist if their is no free will and everything is predestined? Sikhs do believe in incarnation. As written in many banis “Juna” means “lives” or rebirth. And if humans do not take the right path and do not meditate on God, they will fall into the cycle of life again and again. Guru Granth sahib ji explain God as ” sargun and nirgun ” he is sakar and nirakar both . If you are sakarvadi then never say he cant be nirakar , and if u r nirakaravadi never say he can never be sakar .